Join us online on August 25 at 8pm ET to help make science and smart decision-making an election issue! Canadians deserve a federal government that support the science that keeps us safe, healthy, and prosperous. From the programs that monitor our air and water quality to the policies that ensure our medical treatments are safe and effective, we need science and evidence-based decision-making to have a healthy, thriving democracy and society. If you believe a strong democracy needs strong science and smart decision-making then tune into our Science Pledge broadcast to on August 25 at 8pm ET. During the broadcast we will share with you what actions you can take to mobilize individuals, organizations, and candidates in your community to take the Science Pledge. 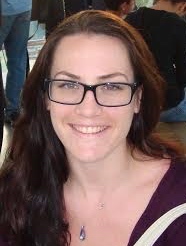 Marija Curran joined Evidence for Democracy as a Communications and Fundraising Coordinator in 2014. She comes to E4D from the Council of Canadian Academies where she worked as a Communications Coordinator to create and promote independent, evidence-based research for public policy development. © 2013 Evidence for Democracy.